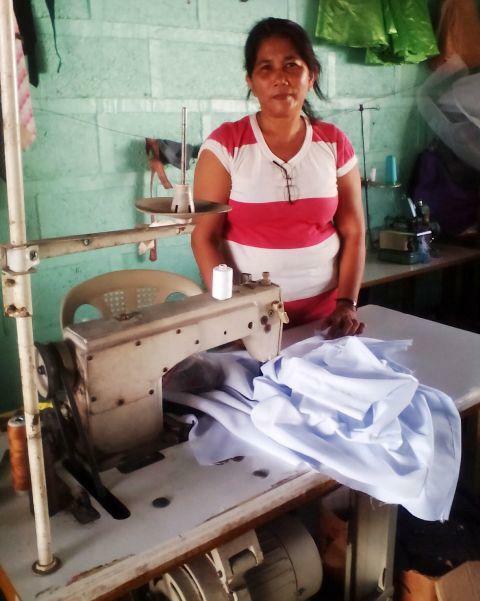 A loan of $200 helped to buy cloth, needles, zippers, thread, buttons, and other materials. Jacqueline is a married woman with eight children who works hard to support her family. She has a tailoring business and earns additional income selling dry goods. Jacqueline is borrowing 8,000 PHP through NWTF to buy additional cloth, needles, zippers, thread, buttons, and other materials. Jacqueline has sustained her business through 1 previous loan from NWTF. She hopes that her hard work will help her attain her dream which is to save money to expand her business.